This is an article published in our February 2016 Issue. Although there is a large requirement for new and/or upgraded utility helicopters, the financial downturn in the Asia-Pacific has stalled many decisions to commit to either. Questions now abound as to the health of the helicopter market in this region, and where it goes from here. 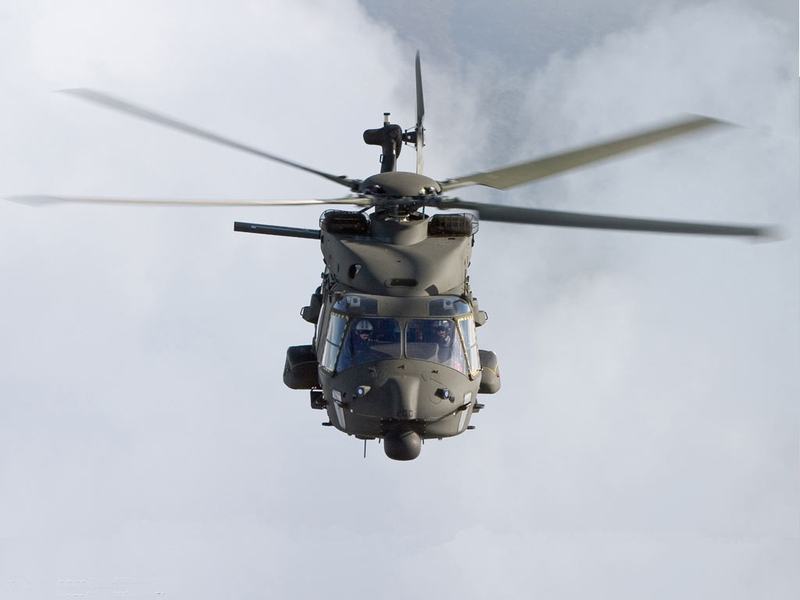 The military helicopter market in the Asia-Pacific region was set on a path to acquire new, modern platforms and to breathe life into legacy airframes through several upgrade initiatives, particularly in the attack and utility helicopters domain. Earlier this century, with the price of oil soaring to highs rarely seen before, rich revenue streams were provided to nations for the acquisition of state-of-the-art military rotorcraft, typified by Indonesia’s decision in January 2015 to procure the latest variant in the McDonald Douglas/Boeing AH-64 family of attack helicopters, namely the AH-64E Guardian, of which Indonesia committed to purchasing eight examples. 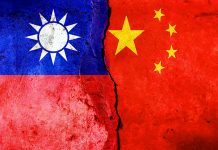 Additional motivations for rotorcraft purchases include increases in the region’s existing tensions since the start of this decade, notably focused on the People’s Republic of China’s maritime and territorial claims in the South and East China Seas. In its 2014 report entitled Southeast Asia: The next growth opportunity in defence global management consulting firm McKinsey and Company stated that: “Southeast Asia defence forces, with the exception of certain categories in Singapore, are characterised by ageing fleets (of helicopters) that were mostly acquired during the 1970s and 1980s and are now in need of replacement. Countries have recognised the urgency, and significant investments are expected through 2017.” It references the Philippine government’s decision to replace some of its old Bell UH-1H Huey light utility helicopters with eight AgustaWestland AW-109 light utility rotorcraft, the delivery of which to the Hukbong Himpapawid ng Pilipinas (PAF/Philippines Air Force) commenced in 2014. 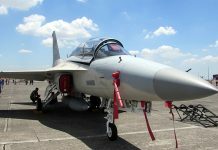 Since then, because of the flexibility of the new aircraft, they have been modified to increase their multi-mission usefulness, particularly to be used to fight the insurgency involving the Moro Muslim guerrilla movement active on the southern Island of Mindanao. The Hukbong Dagat ng Pilipinas (PN/Philippines Navy) has recently taken the decision to upgrade its AW-109 maritime support helicopters by adding gun pods. Three AW-109s were delivered non-weaponised in 2013 although a further two AW-109s that were commissioned in 2015 were armed. The new armament comprises two 12.7mm machine gun pods together with 70mm rocket launchers. These armed AW-109s will be deployed operationally onboard the PN’s ‘Pilar’ class frigates. 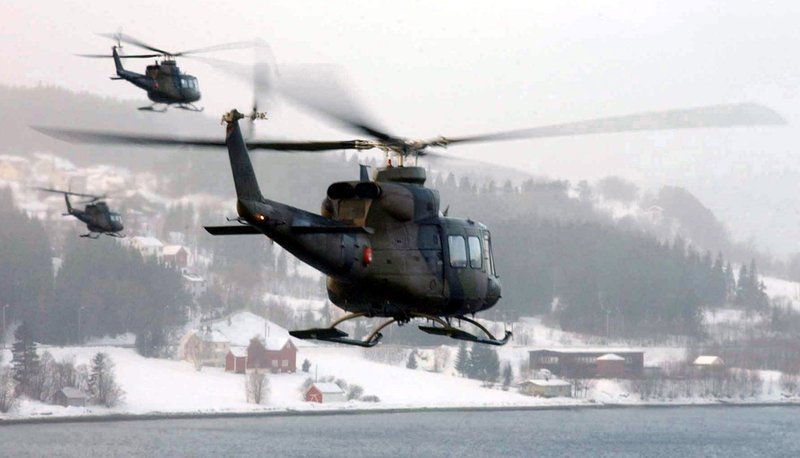 Additionally, in August 2015 the Philippine Department of National Defence (DND) confirmed the receipt of eight Bell 412EP light utility helicopters from Canada. The purchase agreement valued at $107.9 million was conducted through the Canadian Commercial Corporation (CCC). Deliveries began in June and concluded in August 2015. Five of eight Bell 412s were assigned to the PAF’s 205th Tactical Helicopter Wing for use as utility helicopters and to support disaster relief operations, while the remaining three were allocated to the 250th Presidential Airlift Wing for the transport of dignitaries. Yet the salad days of the military helicopter bear market in the Asia-Pacific came to an end with the oil price crash when the price of oil lost 50 percent of its value between January and December 2015 falling from circa $50 per barrel of Brent Crude to circa $25 per barrel, which was compounded by the contraction in the military helicopter markets in Europe and North America. These two events conspired to give fewer opportunities for Asia-Pacific customers to seek large scale programmes in these regions which they could latch onto to procure helicopters at attractive prices by piggy-backing onto larger procurement programmes, flush with petrodollars for such purchases. Fewer production numbers of any type invariably leads to a corresponding rise in acquisition costs. With many Asia-Pacific nations previously on course to replace their existing fleets with fewer but more capable aircraft (following the multi-role diktat much loved by Western militaries), there is now a rethink taking place in several defence ministries throughout the region regarding the cost-benefit of proceeding with such a policy. This has been evident in a slowing down of new orders as well as upgrades. For example, there are many helicopters in the region that have analogue rather than digital ‘glass cockpits’, such as the legacy UH-1H aircraft still in widespread use around the region, but many of the helicopters in the Asia-Pacific region have been flown hard since their acquisition and investment in new avionics and upgrades seems very short term when airframe flight hours are so high. 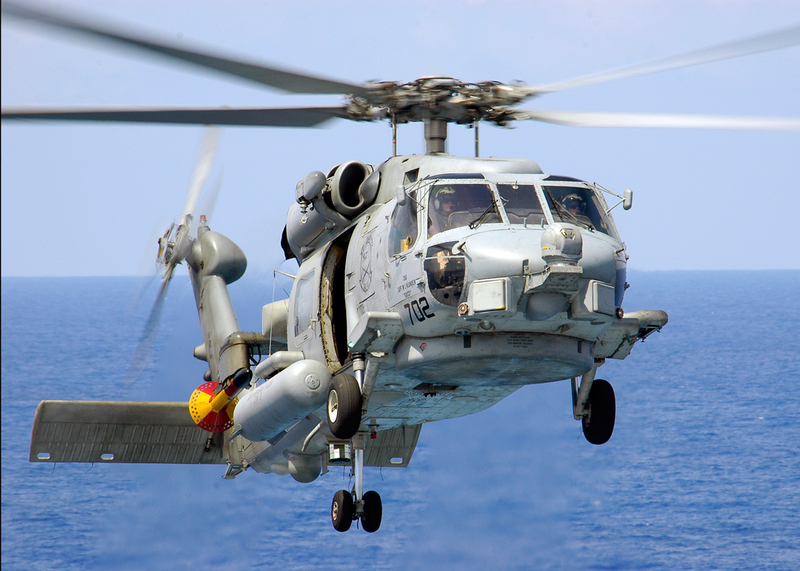 This drive towards multi-mission aircraft also applies to helicopter fleets with the maritime domain being a strong contender for new aircraft such as Sikorsky’s SH-60 Sea Hawk, both in its S-70B and newer MH-70R, as used by the US Navy. At the end of 2014 the Indian Navy (IN) selected the S-70B variant for its maritime multi-role capability. The acquisition was to include “avionics and flexible open architecture Weapons Management Systems that integrate an advanced sonar, 360 degree search radar, modern air-to-surface missiles, and torpedoes for the ASW role,” according to a company press release announcing the news. The IN’s S-70B helicopters will also be used for non-combat maritime roles such as search and rescue, utility, logistics support, reconnaissance and casualty evacuation. Sikorsky, under the new ownership of Lockheed Martin, has started to campaign harder in the region for military and civil business. In Singapore during November 2015, Sikorsky’s regional director for Asia, Christophe Nurit, announced at a media briefing that the company believed there were increasing business opportunities in the Asia-Pacific market for both its military and civilian helicopters. Mr. Nurit said that the Asia-Pacific was an important region as the company ‘rebalanced’ from being US-centric. He said that sales opportunities included ongoing discussions with Indonesia regarding the sale of UH-60M Black Hawk medium-lift utility helicopters although “budget challenges” in Indonesia have stalled any potential decision. One potential upgrade contract would be for the Republic of China Navy (RoCN). According to media source Focus Taiwan military officials have discussed the possibility of the RoCN updating its 18 Sikorsky S-70C naval support helicopters. The cost would be around $25.3 million with a completion date in 2017. In terms of supporting aircraft in the region Mr. Nurit said that Sikorsky wished to increase its footprint with the addition of a new support centre, the location of which is not yet known, as well as expanding its infrastructure in Australia, where the company successfully sold 24 MH-60R helicopters to the Royal Australian Navy (RAN) as a replacement aircraft for Kaman’s SH-2G Super Seasprite naval support rotorcraft when its entry into service was cancelled in March 2008. Australia has a relatively new fleet of military helicopters including the Airbus Helicopters EC-665ARH (Armed Reconnaissance Helicopter) gunship and the NH Industries MRH-90 medium lift utility helicopter. It also has recently changed its six Boeing CH-47D heavy-lift helicopters for seven US Army specification CH-47Fs, the last of which was delivered by the third quarter of 2015. In addition, another three may be purchased following approval by the US Department of State for the Foreign Military Sales (FMS) deal to this end in December 2015. Valued at $180 million, this will take the Australian CH-47F fleet up to ten helicopters. The last of the seven CH-47Fs was delivered by Boeing in August 2015 and three weeks ahead of schedule according to the company. The specification only differs from that of the US Army by the addition of a rotor brake to allow the aircraft to be used onboard the RAN’s ‘Canberra’ class amphibious assault ships. Without a strong industrial base there have been few countries that have been able to actively develop their own hardware and have had to continue to reply on imported equipment. Nevertheless, the Republic of Korea is one of the exceptions to the rule. Korea Aerospace Industries (KAI) is one of the main driving forces for aviation development in the Asia-Pacific. It has already developed the KUH-1 Surian medium-lift utility helicopter, together with Airbus Helicopters whose 20 percent stake in the production of the aircraft will last until to 2020. The KUH-1 will replace the MD Helicopter MD-500 and UH-1H light utility helicopters in extensive use with the Republic of Korea armed forces. Beyond the KUH-1, Airbus Helicopters and KAI have joined forces for another project; the development of two five-ton rotorcraft that will meet the RoK’s civil and military requirements through the Light Civil Helicopter (LCH) and Light Armed Helicopter (LAH) initiatives (see below). 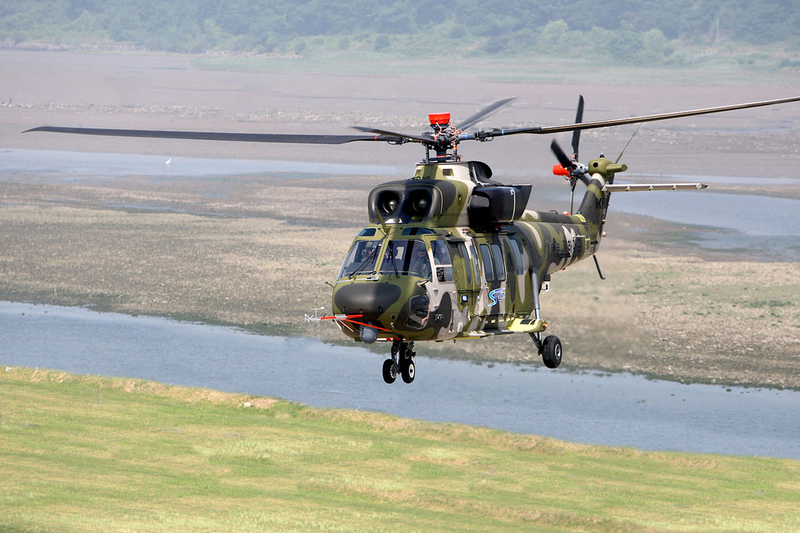 The KUH-1 has already entered operational service with the RoK’s army and national police force, and KAI believes that the aircraft has export potential. To this end, it is now being marketed outside the RoK by a joint company, KAI-EC, which also involves Airbus Helicopters, which forecasts that it could sell around 300 export KUH-1s for military and civil roles in the Asia-Pacific during the next decade. The type will be joined later by the Light Armed Helicopter (LAH), for which KAI currently is searching for a development partner; this means that the army’s helicopter ranks will predominantly feature locally-produced helicopters along with a handful of Boeing CH-47D/DLR helicopters and recently ordered AH-64Es. Other nations following the RoK’s move toward purchasing attack helicopters include Taiwan, with the first AH-64Es for that country commencing delivery in 2013, alongside Indonesia’s aircraft (see above). 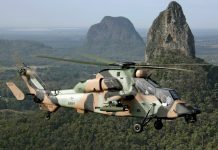 Malaysia is also in the market for an attack helicopter, with Airbus Helicopters hoping to break into the region with its EC-665 Tiger family following its recent success with a contract for the H-225M Super Cougar medium-lift utility helicopter to replace that country’s fleet of Sikorsky S-61 Nuri rotorcraft. Beyond the new acquisitions discussed above, upgrades are afoot in the region. In September 2014 Honeywell Aerospace announced that it had been selected by the Republic of Singapore Air Force (RSAF) to provide its fleet of 16 Boeing Chinook CH-47SD helicopters with a Health and Usage Monitoring Systems (HUMS). The RSAF also has a Honeywell HUMS fitted to its 17 AH-64D Apache attack helicopters: The fitting of a HUMS helps maintainers to assess each helicopter’s maintenance condition through data collection and analysis. This should lead to a reduction in unscheduled maintenance while increasing availability. 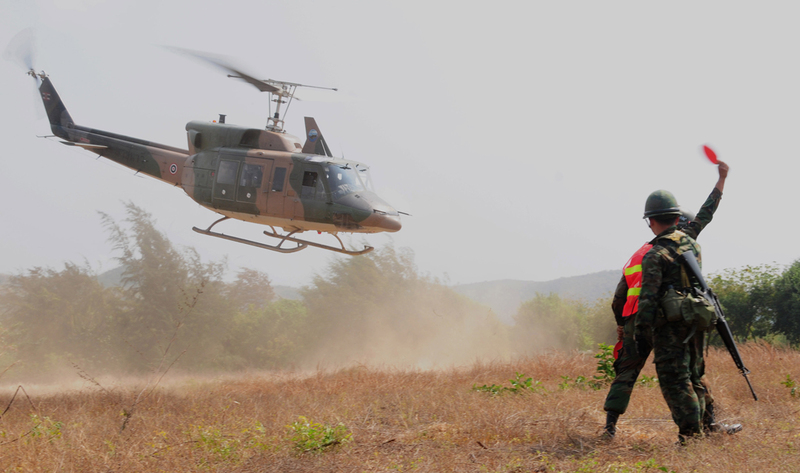 The Royal Thai Army (RTA) is also having a number of its Bell UH-1H helicopters upgraded by Transworld Aviation based in Thailand, a joint venture company owned by local investor Chaimongkol Sukonthamat and Dubai’s Transworld Aviation. The first of the eight planned conversions was delivered to the army at the end of 2015. 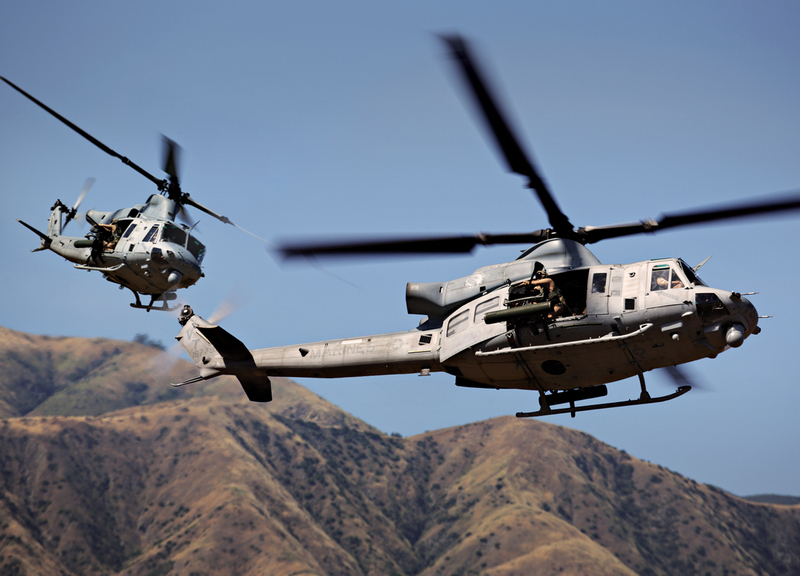 The force is looking to upgrade nearly half of its 20 UH-1Ns to the UH-1H Plus standard. One of the most important improvements in this regard will be to replace the old Lycoming T53-L-13B turboshafts with the more powerful Honeywell T53-L-703. Structural improvements being rolled out onto these aircraft as part of the upgrade include composite rotor blades and a new tail boom. New avionics will feature a glass cockpit, GPS (Global Positioning System) tracking, weather radar and a night vision goggle compatible cockpit. There will also be a refresh of the aircraft’s wiring. Transworld Aviation will also modernise the Bell 212 naval support helicopters of the Royal Thai Navy (RTN) and up to four Bell 212s for the Royal Thai Police (RTP); the latter will be fitted with seat armour for use in troubled areas of southern Thailand where an ethno-religious insurgency continues. These aircraft will also have avionics upgrades in line with the RTA’s UH-1H Plus (see above).